Sugar Beach, A Viceroy Resort is set between the spectacular Piton Mountains and has the only white sand beach in the south of the island. The hotel is built in the grounds of an 18th century sugar mill and offers exclusive, luxurious accommodation for discerning couples and families. Sugar Beach has been named 'St Lucia's Leading Beach Resort' at the 2017 World Travel Awards. Following extensive renovations, Sugar Beach now offers a range of suites, villas and bungalows, all decorated in an elegant yet contemporary style. Clusters of villas are set amid lush vegetation and promise breathtaking views, with even the most basic room types offering a private walled garden, outdoor plunge pool and personalised butler service. New for 2018 is the Beachfront Collection, a group of spectacular four-bedroom homes with high ceilings creating a great sense of space and floor-to-ceiling glass doors leading out from the living areas onto the terrace with private infinity pool. Views are of the Caribbean Sea and the Pitons, with guests staying in these residences enjoying private access to the white sands of Glenconner Beach, located a few minutes' walk from the main resort. At the centre of Sugar Beach resort is the Great House, a colonial-style plantation house which now houses two of the resort’s dining venues. The Great Room is a fine dining restaurant which serves Caribbean-influenced cuisine in a sophisticated setting, while The Terrace serves buffet and a la carte breakfast overlooking the pretty lily pond. Bayside is a beachfront restaurant which offers relaxed dining including pizza and creole dishes, located between the swimming pool and the Caribbean Sea. Guests can also choose between a variety of cocktails at Bayside, while Cane Bar has its own ‘rummelier’ to help you choose between the selection of international rums. The Palm Court Lounge is the venue for cocktails and nightlife atmosphere once afternoon tea has been served. Sugar Beach offers a range of activities, both ashore and afloat. There are a vast range of watersports on offer including windsurfing, sailing and kayaking, as well as tennis and beach volleyball back on dry land. With three hotel boats offering day trips to enjoy whale watching, picnics or private snorkelling trips, there is more than enough to keep families and couples happy at the hotel. Don't miss a trip to Soufriere with its sulphur springs in the crater of a former volcano, a trip to the rainforest or plantations - perhaps followed by an evening drink or dinner watching the sunset through the Pitons from Ladera, 1100 feet above sea level. The resort caters well for families and offers a range of complimentary activities for children. Sugar Club organises treasure hunts, arts and crafts and archery for children aged 4 to 12 years old, while teenagers can take part in activities including sailing. The Rainforest Spa has seven tree house treatment rooms and a 'temascal' - a special Amerindian steam room, offering a wide range of treatments and rituals including a signature Bamboo massage. Sugar Beach, A Viceroy Resort has the ethos where nothing is too much trouble, and is now offering a flag service at the beach or by the pool - guests simply need to raise the flag by their lounger if they require something and help will soon be there! It is no surprise to the team at Tropic Breeze that Sugar Beach is so popular with their clients. 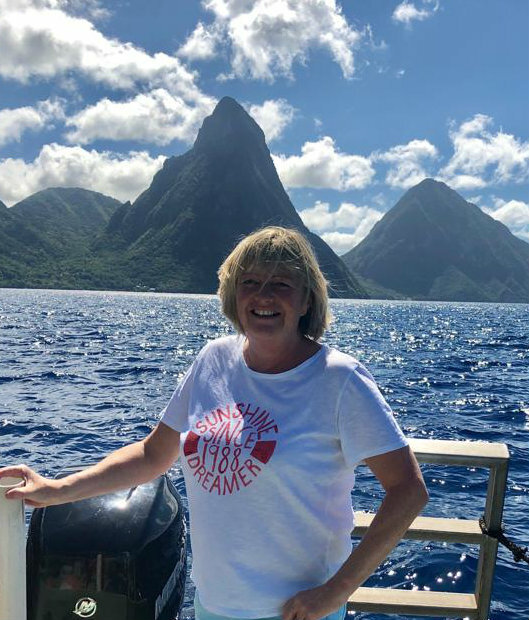 For more information about Sugar Beach or alternative resorts, take a look at Su's St Lucia Trip Diary. Sugar Beach really is a true 5* resort with excellent facilities on offer to suit the whole family. With a great kids club for the little ones, an amazing gym for adults and accommodation to suit any party size, this property has something for everyone! I loved the modern and contemporary feel that runs throughout the property, and everywhere you look your view is enhanced by the dramatic pitons - what a setting for a luxury break! My highlight had to be the rainforest spa - I have never seen anything quite like it, you are literally on suspended walkways running through the rain forest with treatments taking place in one of the 7 thatched 'huts' beneath the trees - wow! With butler service and ipads to enhance your stay in every room, they really have thought of everything here so if you like to be truly pampered in the height of luxury, this is the resort for you!